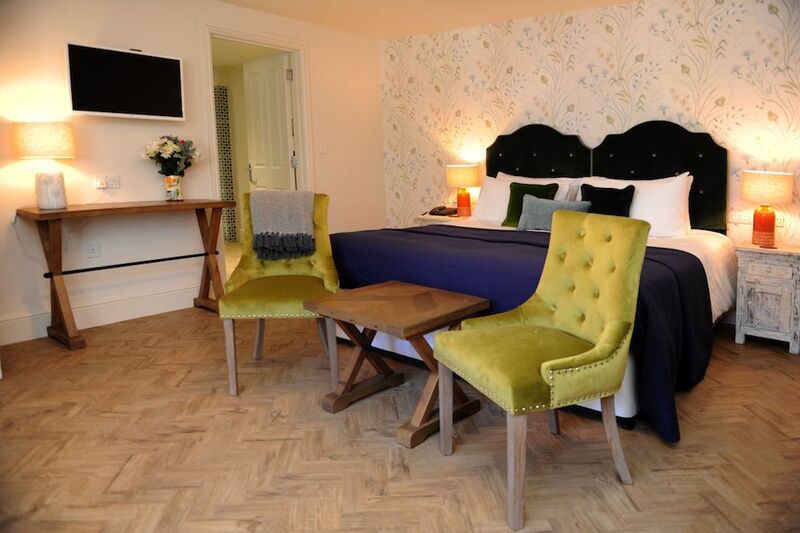 Muddy Says: The perfect combo of stylish and luxe accommodation within a warm and cosy seaside restaurant and Inn. The bar is set high when it comes to our Little Black Book recommendations and The Globe Inn certainly ticks all the Muddy must haves! 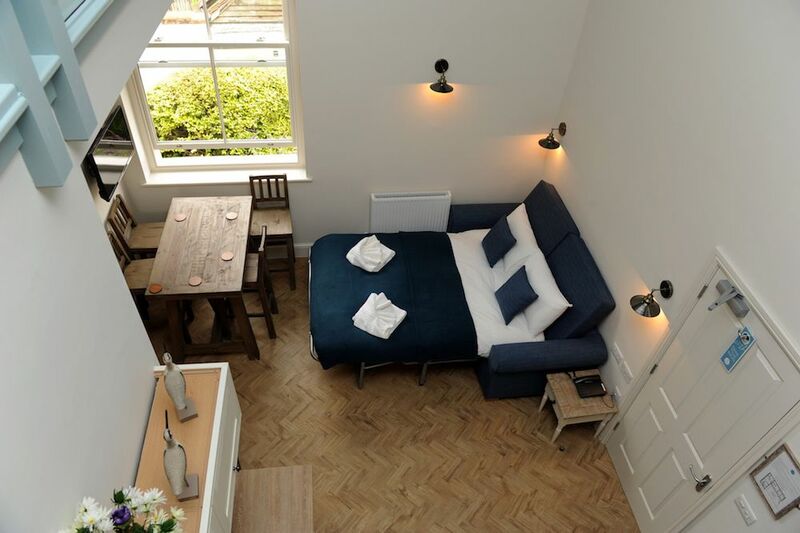 Situated on a pretty Georgian square in the quaint seaside town of Wells-next-the-Sea, the location is pretty fabulous and only a five minute drive (30 minute walk) from the beach. 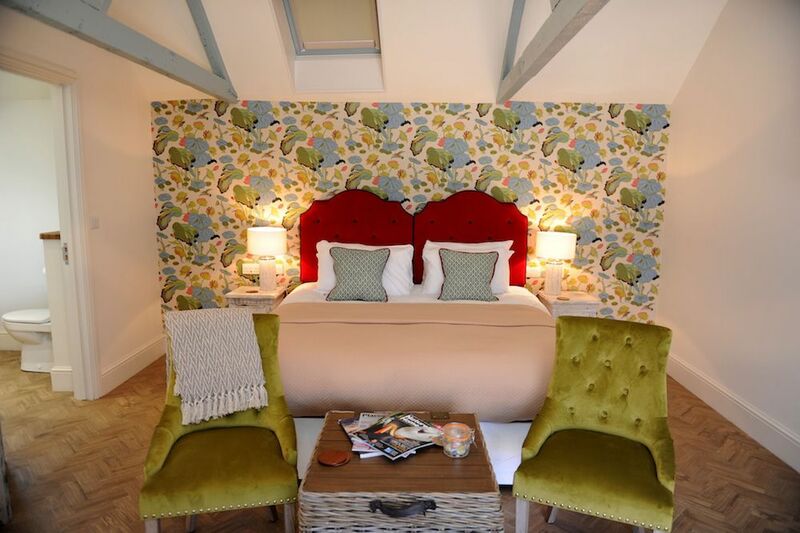 Newly designed by Salt Interiors, the 19 ensuite rooms ooze luxury and warmth with velvet headboards, quirky stylish wallpaper and high spec finishes in the bathrooms and kitchenettes. The 12 newly built rooms wrap around an enclosed courtyard with balcony walkways giving a distinct European feel to the design. 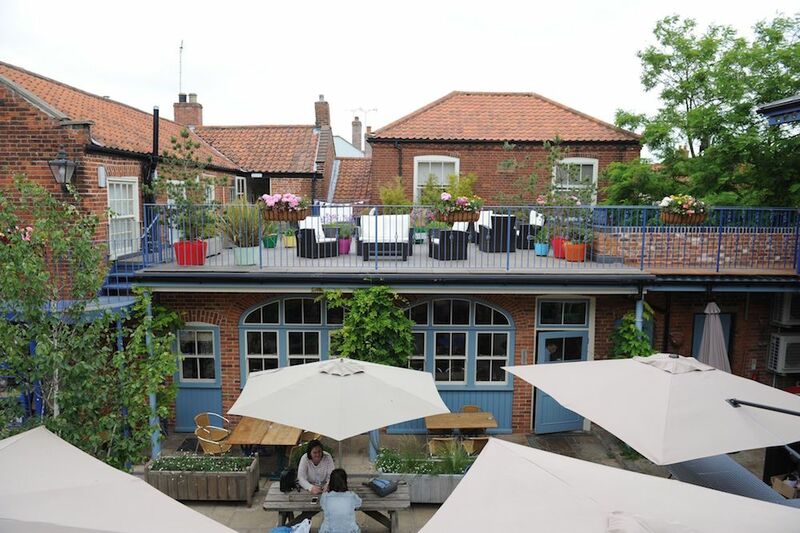 Piece de resistance – there’s a roof terrace solely for guests and perfect for summer evenings chillaxing with a bottle of wine after a long hard day at the beach. 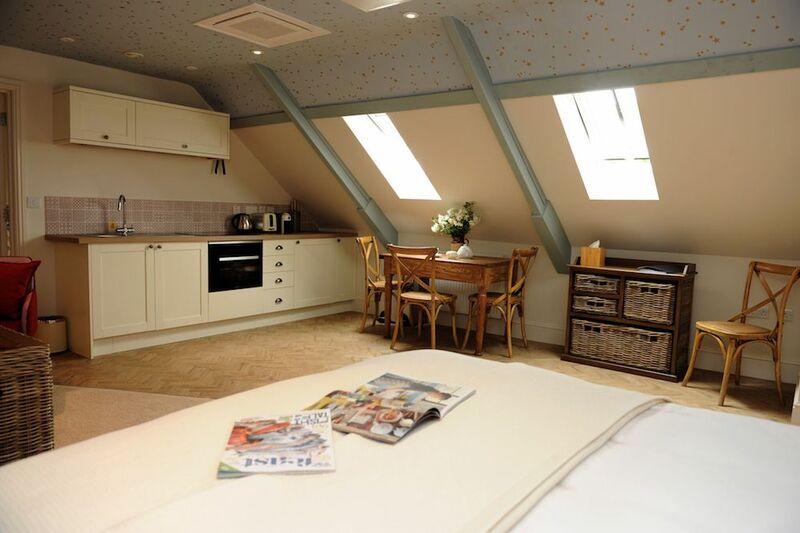 Accommodation ranges from a quirky single (if you’re in need of a little solitary soul searching) to self-catering apart-hotel suites for families plus they welcome four-legged guests with seven dog friendly rooms. 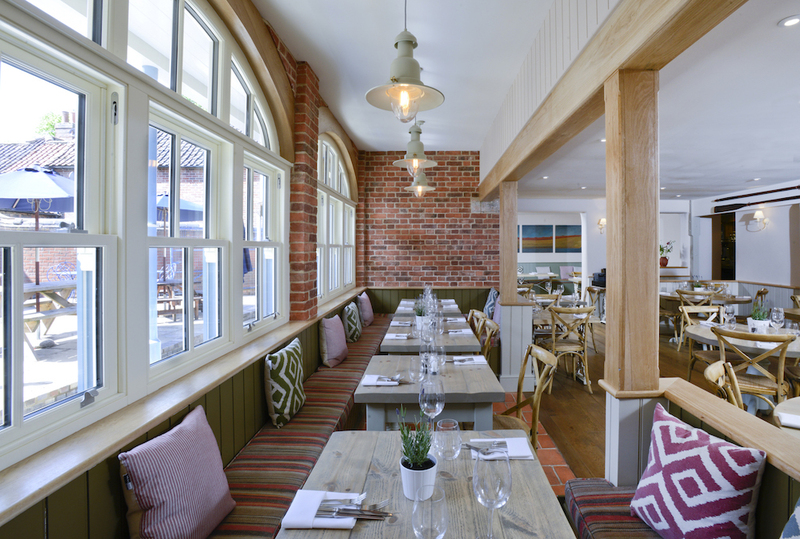 The Inn is light and airy with plenty of tables in the main bar area and restaurant. The decor is simple yet stylish, with some wonderful nods to the local maritime history. Most importantly it has retained the all important ‘cosy’ factor. If you want somewhere a little private for a romantic meal (or just to hide the kids) see if you can bag one of the three cute little nook areas. Anyone fancy mussels straight from Wells quay? 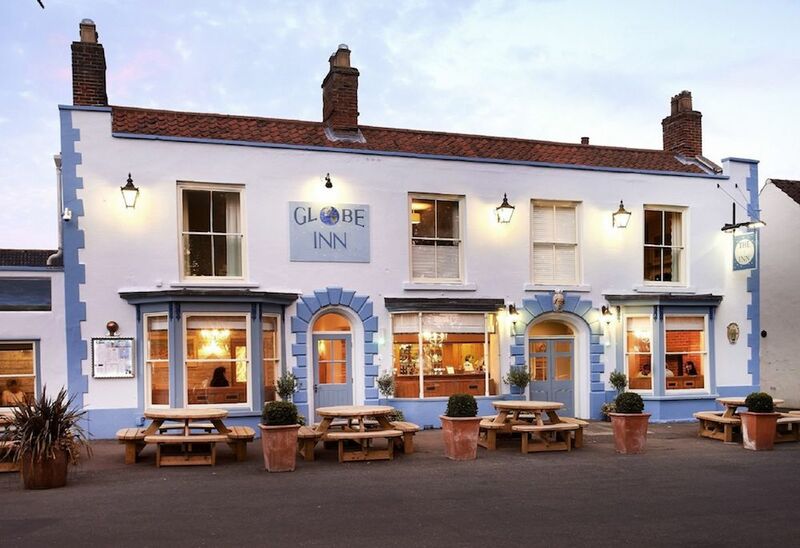 The team at the Globe work closely with local suppliers to offer the freshest of produce and have a mouth watering menu. 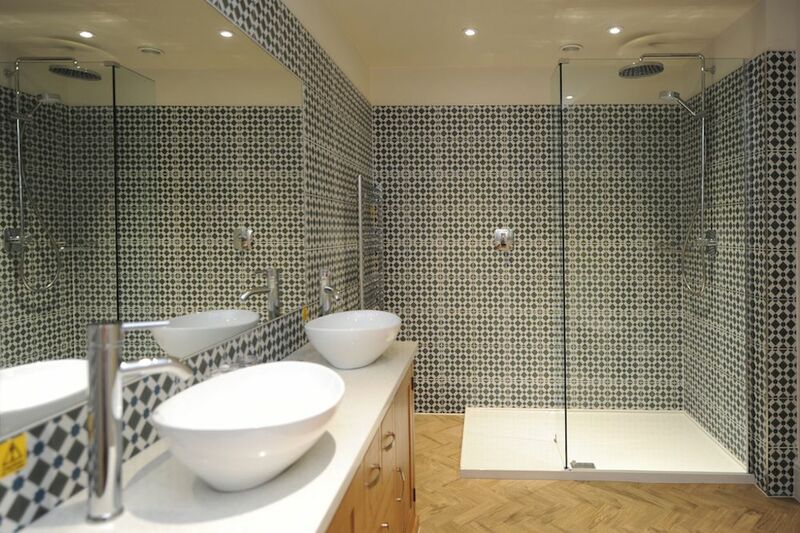 They also have a four-bedroom Georgian holiday house available for rent near by – perfect for groups and families. Plus if you want to go all out, why not hire their beach hut? 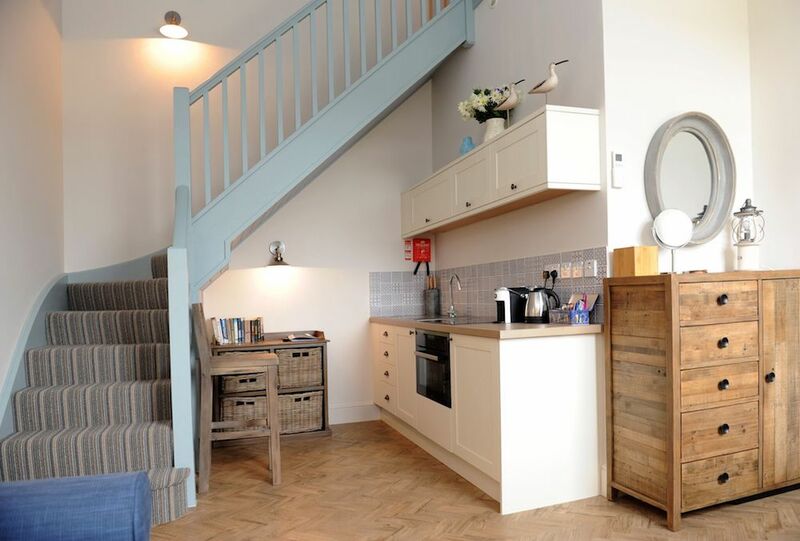 It comes complete with buckets, spades, deck chairs and picnic blankets – making life easy, that’s what we like!